I’ve seen basic variant covers, lenticular covers, gatefold covers, and embossed covers. A glass cover, though? That’s a new one. Valiant have announced that the upcoming Fallen World #1 will have just such a variant, with the red-tinted glass creating a 3D-type effect. It will be incredibly hard to find and is based on retailer orders, though, so if you want to snag one then make sure to tell your LCS. Check out the details below, including how retailers can obtain one of the variants. 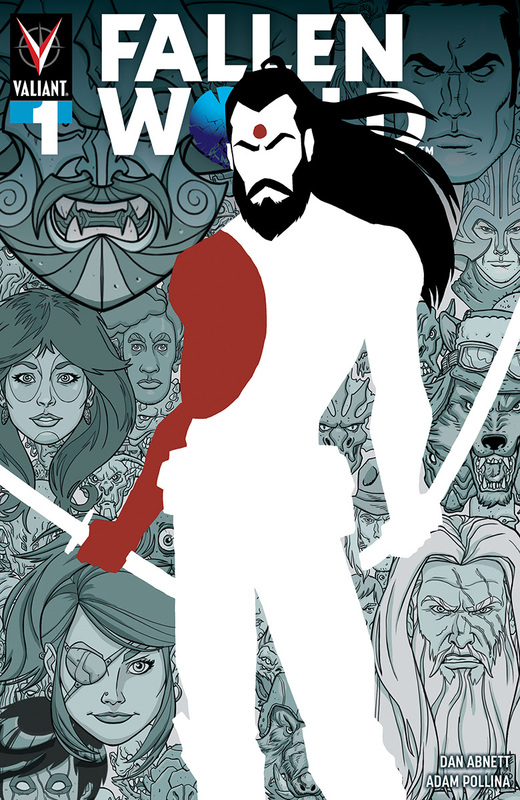 April 4, 2019 (New York, NY) – As first announced on Previewsworld, Valiant Entertainment is excited to offer a first look at the FALLEN WORLD #1 Glass Variant, which features a dynamic Doug Braithwaite illustration of the series’ main character, Rai, set against a red mirrored background, all on tempered glass. It was crafted by Valiant Director of Design and Production, Travis Escarfullery, and even sports the illusion of a 3D effect, making it look like Rai is reaching out to the reader! The first issue in the five-issue series is available to pre-order now at comic book stores everywhere in advance of its May 1, 2019 premiere date. Along with the Glass Variant Cover, FALLEN WORLD #1 features covers by Jonboy Meyers, AJ Jothikumar, and Koi Turnbull. A Pre-order Edition cover by David Mack and a blank cover are also available. In FALLEN WORLD, it is the year 4002. 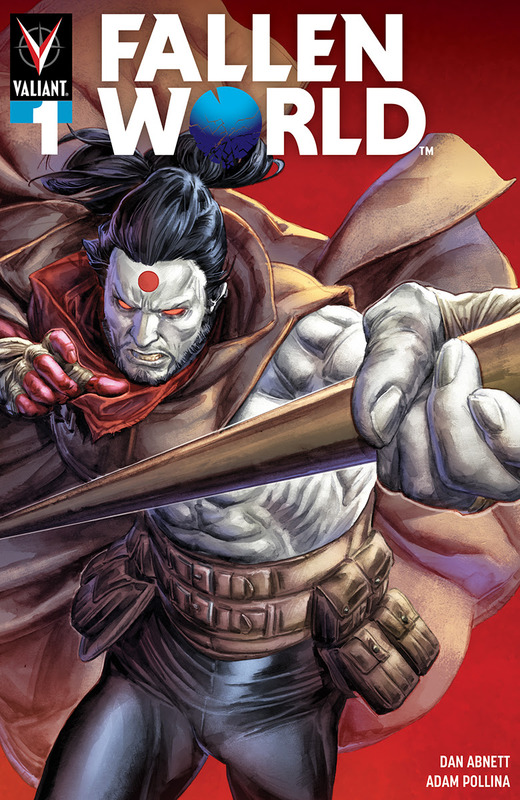 A cyborg samurai named Rai struggles to find his morality, while the nanite-filled supersoldier Bloodshot is on a mission to save the citizens of Earth. Will they work together for the greater good? (All signs point to no.) Plus, there are dinosaurs on the loose and powerful animal-human hybrid mutants! If you love smart sci-fi and engrossing world-building, writer Dan Abnett (Aquaman) and artist Adam Pollina’s (X-Force) FALLEN WORLD have you covered. Valiant's 2019 Free Comic Book Day offering contains an original, eight-page FALLEN WORLD story by Abnett and artist Juan José Ryp that serves as a prelude to FALLEN WORLD #1. To find a participating Free Comic Book Day shop, visit freecomicbookday.com. 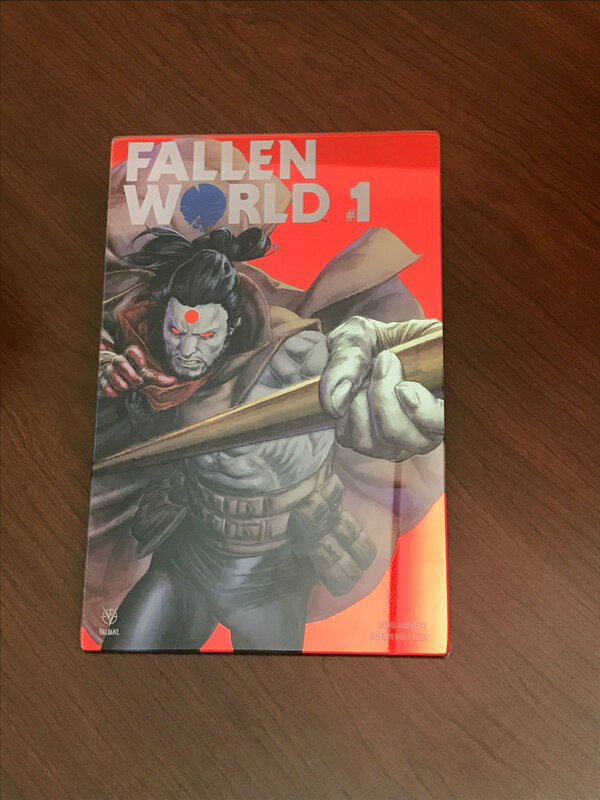 Retailers should note that one copy of the FALLEN WORLD #1 Glass Variant Cover can be obtained for every qualifying order of 250 copies of FALLEN WORLD #1. There is no limit per store—250 copies ordered will net one glass cover, 500 will net two glass covers, and so forth. Final orders are due to Diamond Comics on Monday, April 8th. For any questions, please contact Valiant’s dedicated sales team at sales@valiantentertainment.com. Fans wishing to obtain a FALLEN WORLD #1 Glass Variant should check with their local comic shop about availability. Fallen World #1 will hit comic shops and digital retailers on May 1. Apr 4 Dark Horse bring the laughs and the scares in "Manor Black"